Great quality job from Myidea . easy to use and install function! 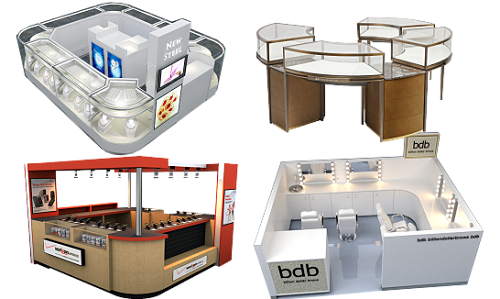 Myidea industry is a professional kiosk manufacturer of all kinds of food kiosks, mall kiosks, salon kiosks and customized display commercial furnitures ! Myidea provide design-manufact-shipping-installation one stop solution ,you provide us a kiosk idea, we give you the key to start business.. Established in 2006, Shenzhen Myidea Furniture Limited is a professional manufacturer and exporter engaged in the design, development and production of mall kiosk showcase. We are located in Shenzhen city with convenient transportation access. All of our products comply with international quality standards and are greatly appreciated in a variety of markets around the world. ice cream kiosks, sunlgasses kiosks, cosmetics kiosk , eyebrow threading kiosks, nail kiosks, and retails store fixtures! Thanks for myidea amazing work , i love this coffee kiosk very much , but this time is my problem that i choose to make the LOGO smaller , if next kiosk the LOGO can be bigger will be very beautiful , but anyway , thanks for your help.!!!. it turns out very good quality , good day . Beautiful job , thanks you , i would like my second shop design asap . Myidea has very talentd and experinced design team ,we focus on mall kiosk , cart and store fixtures design for more then 15years,we know all the mall criteria of worldwide famous mall , such as westfield , GGP,West Edminton mall,and other high starnds shopping centers, Nomally you get a high cost in getting a kiosk design in local , But from Myidea ,you got the design for free . 1,First you need to pay 300USD for the deposit of the design . 3,We provide free Modification until you satisfy with our drawing. we will sent update photo to show the procedure of your kiosk in every 3days, From the very beiging cutting material , Build the kiosk structure, Polish and paiting , install light , LOGO.glass, drawers,handles, and even the Packing, you can buy our kiosk full of confidence . We also provide shipping service to our customers, if you already have a longterm shipping parter , you can handle it yourself ,you can also try our fast shipping service ,and door to door shipping service! Myidea has build the kiosk in a unique way that installation is very very easy ,you can just installed it in two or three people , no need hire professional workers, you can do it yourself. The kiosk we split in several parts, when you unpack the packing box , just need to put each parts together follow the 3D design ,find the right pcs. and srew from inside of the kiosk ,the kiosk will stand on itself. For the electricity : we have installed all the sockets and necessory parts, we make each part in male and female jioner, you just need to put the part together and .the electricity is working ,and you can start your business now.